We are currently living in an age where a person barely has time to look after yourself after your long commute to work. So looking after your health often takes a back seat. Often times due to our busy lifestyle we skip our regular dental checkups. And a major portion of the population is seriously indifferent to their dental hygiene. But no pain can be excruciating like a severe toothache. And you never know when you are going to suffer through one. That’s why in case of severe toothaches, you actually need immediate treatment. But fear no more. If you are suffering through a terrible toothache, then 24 hour emergency dentists are there to save you. You only need to call to make an appointment for your dental emergency and they will be ready to see you any time of the day or night. Thanks to these clinics, you won’t have to suffer through a whole nightly ordeal of excruciating toothaches. Be it a regular checkup or a complex cosmetic dentistry procedure, these 24 hours emergency dentists are always there to save you in a pinch. Palm Bay is a beautiful city of Florida, famous for its booming population growth. With an ever growing surge of tourists, this city is constantly in need of professional 24 hour emergency dental clinics. 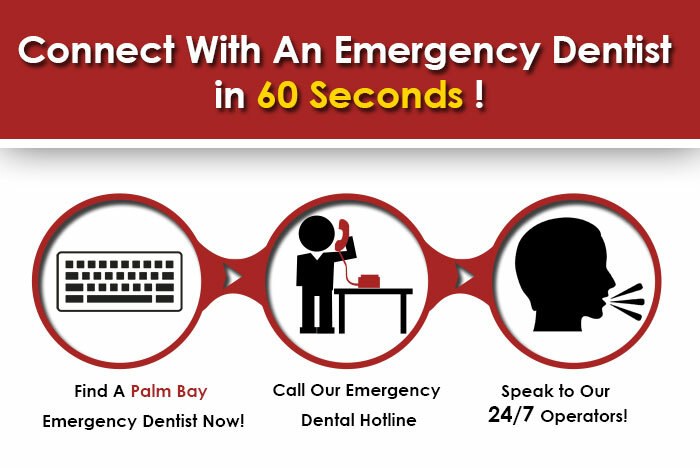 Currently there are several emergency dentists in Palm Bay who offer nothing but specialized care. Thanks to them you don’t need to pop pain killers at midnight. Just give them a call to make an appointment and you are good to go. From extracting a wisdom tooth to complex dental surgery like root canals and dental implants, these dentists are always there to take care of you. For any major or minor dental emergencies, these are the places you should go. Below are the names of several emergency dentists whom you can visit during your direst need. At the Palm Bay Dental Center, you will be in the capable hands of Dr. Subhash Rege and Dr. Marfatia Rege who have 36 years’ of experience in cosmetic and preventative dentistry. They offer nothing but the highest quality of dental service to their patients. They are certified by major hospitals and accept insurance. Give them a call at (321)-725-5512 for any emergency. With 10 years of experience in general and cosmetic dentistry, Dr. Cunningham is another noted dentist of Palm Bay who offers specialised 24 hours emergency service. He also offers special rates for teeth whitening. Call 321-722-2688 for more info regarding his service. Situated on Bayside lakes, this is another dental clinic that offers 24 hours emergency dental service. They have a friendly staff that are very professional and will help you anytime of the day. Call them at 321-722-0155 for making an appointment.